What's better than to wake up to a surprise of beautiful fresh flowers? Knowing its from someone special. Bright and beautiful this bunch of illuminating sunflowers and roses will make each sunrise joyous. 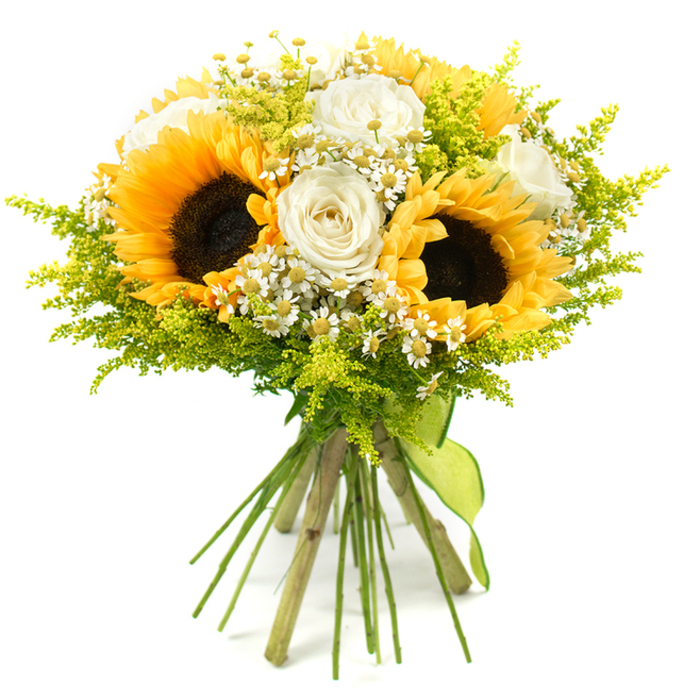 I am so in love with the sunflower bouquet your florist arranged for me, is so much brighter and fresher than any I've bought before. Marvellous service and absolutely gorgeous flowers. The flowers I ordered were truly exquisite, exactly what I wanted, but far exceeding my expectations. I was pretty impressed with the flowers. Don't regret ordering with this flower company. I want to say thank you for everything you did for me! You were very helpful and delivered beautiful flowers! Exceeded all of my expectations! The bouquet arrived on time. It was safely delivered by the courier and I've been enjoying it for 5 days already - still beautiful and vibrant! Can't tell you how wonderful this bouquet was! It was delivered at home, I opened the box and saw the most beautiful flowers! Thank you for the flawless service!! !